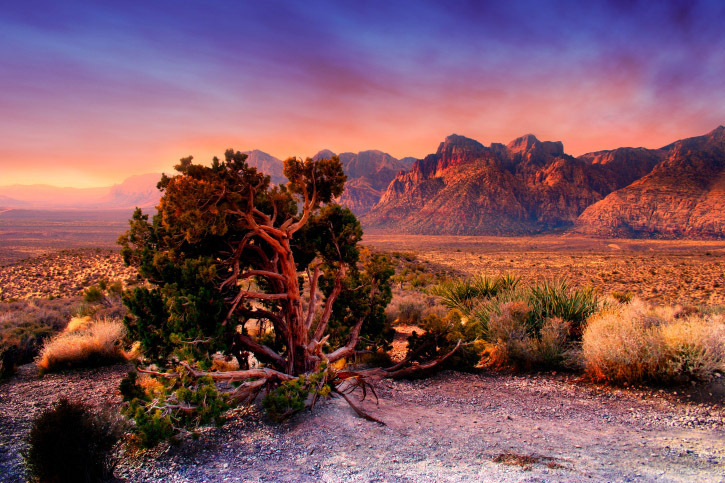 Located just beyond the bright lights of Las Vegas, the Red Rock Canyon National Conservation Area draws over a million visitors every year—and not just ones who’ve gambled away all their money. If you’ve got a rental car, you can drive the 13-mile scenic road to cover the most ground. Or, park the car and tackle the 30 miles of hiking trails on foot. The area gets its name from the large red sandstone formations scattered throughout the area. These peaks make for attractive climbing courses, and rock climbers flock here for challenging summits. The canyon location also offers horseback riding, biking, and birdwatching, so you could spend your whole vacation here and not venture into Las Vegas once! Where is it? Just west of Las Vegas. Fly to Las Vegas’ airport (check prices) and rent a car. Where to Stay? At the Cliffs at Peace Canyon, a great property at budget prices (since it’s near the conservation area and not the Strip). What Else Should I Know? Stop by the visitor center for guided walks and informational talks. Who’s it For? Nature lovers or anyone who needs a break from Las Vegas.